Just over a year ago I went speed dating at the downstairs bar at Channings in Clifton. Each date lasted around four minutes. The 20 women stayed at their allocated table and the men moved around the room. I found it amazing how much you could pick up about people from such a short space of time. Someone would sit down and the atmosphere would all be sucked away, just like that. One guy sat, exhaled, looked curiously upwards and had nothing to say. That was a very slow date. To make some conversation I started asking questions and one of them was ‘what restaurants do you like in Bristol?’ A couple of guys said they didn’t go to restaurants (!) and three others mentioned Thai Classic. The surprising thing was that it was the first time I had heard of the Thai restaurant on Whiteladies Rd and I was probably one of the last people to discover it. Thai Classic is half way up Whiteladies and in one of the slightly sunken restaurants. The place was made up of two cosy and cluttered rooms that looked like they’d done a lot of living before we arrived. The atmosphere was pleasant and there was a special dinner menu which was a three course meal and a glass of wine or beer for £15 each. A great price. We thought we’d share starters and we chose chicken satay, satay gai, and goong sarong which was king prawns wrapped in pancake. 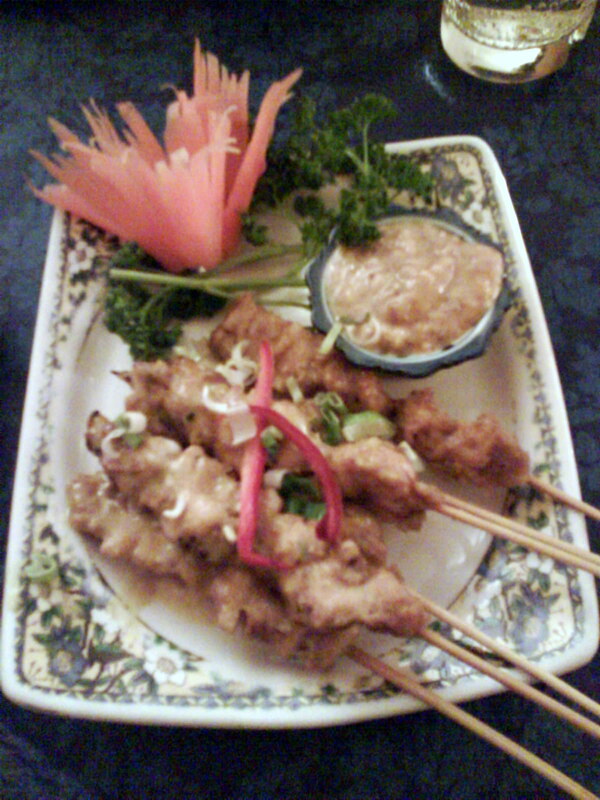 I really liked the satay dip which was served on the side and tasted like it was made with some coconut milk. My companion liked it but wasn’t as impressed by the meat which was quite soft. The portions were ample with six chicken skewers and five wrapped king prawns. For our mains, my friend ordered the chicken green curry (gang kia wan gai) and I chose the pad thai. My dish was casual and delicious although there was a lot of care taken with the presentation. There were some spices on the side of the plate which could be mixed in at my discretion. There was salt, sugar and perhaps chilli or paprika. 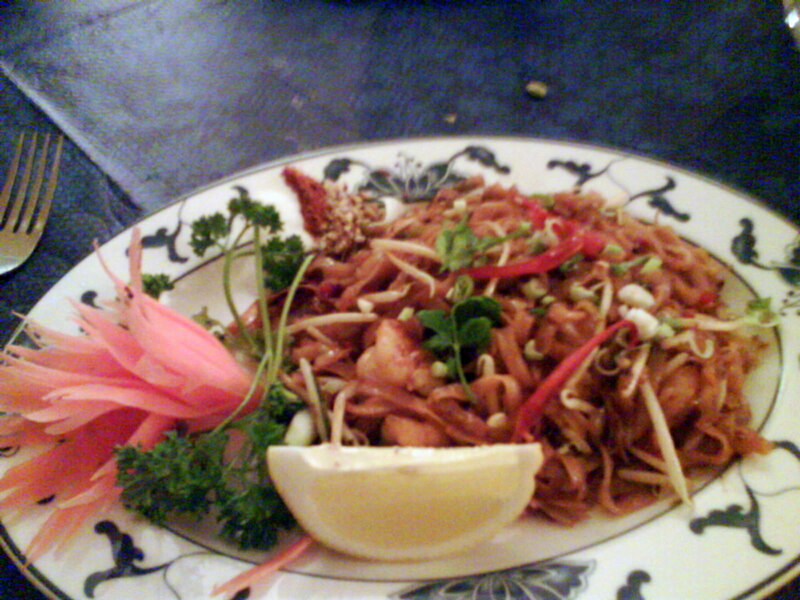 There was a great texture to the pad thai noodles, as if they’d been griddled in addition to being boiled. Very tasty. 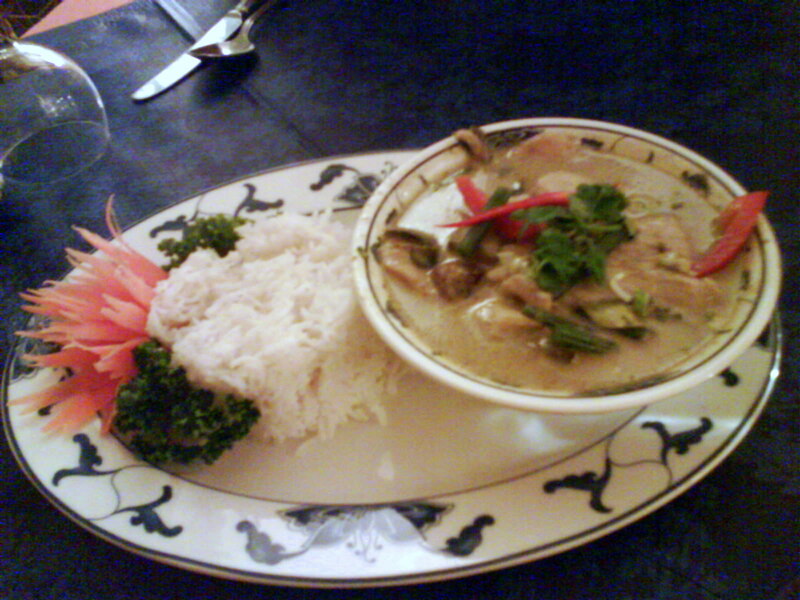 The chicken green curry was also nice but nothing extra fantastic. The house white wine was pleasant and tasted like a pinot grigio with its slightly honeyed taste. The third course was dessert and they didn’t have my favourite sticky rice pudding with mango. I had pumpkin and coconut custard instead which was lovely. My friend had pancake with a coconut filling. Both were delicious and we’d finished the dishes before I remembered to take any photos. The food was fun, pleasant and tasty and the price was a bargain. I’ll definitely be going back although the one thing that didn’t quite work brilliantly was the speed of service. The friendliness was slightly offset by the slowness of the delivery. We didn’t spend two hours there on a Wednesday night because we were enjoying each other’s company. The speed dating had paid off and given me something new to try and I was pleased. While the night out was a casual one, the two hours were spent in a more comfortable atmosphere than Channings last year, the only thing that was missing was the speed. It wasn’t much of a loss though. 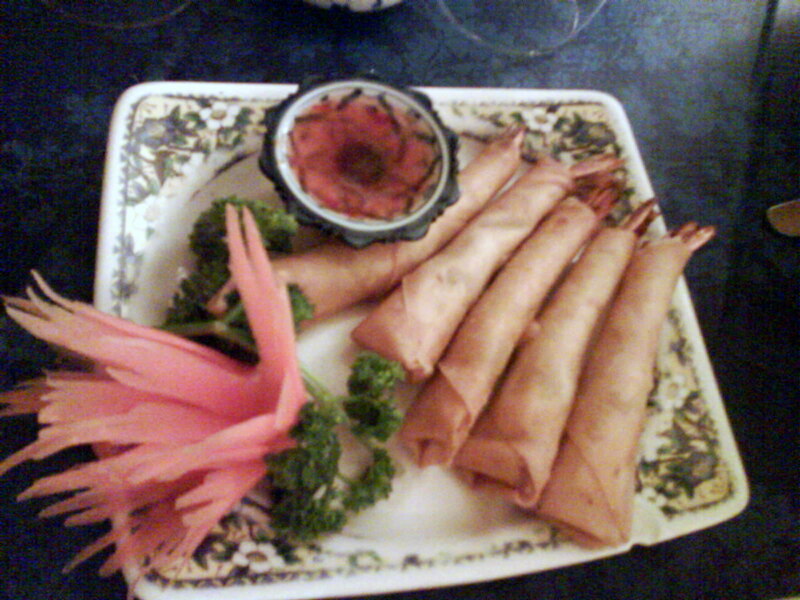 This entry was posted in Bristol, Food and tagged Bristol, Food, review, Thai Classic, Thai food, Whiteladies Rd. Bookmark the permalink.